The BOSSMAN in two shades of black and white. 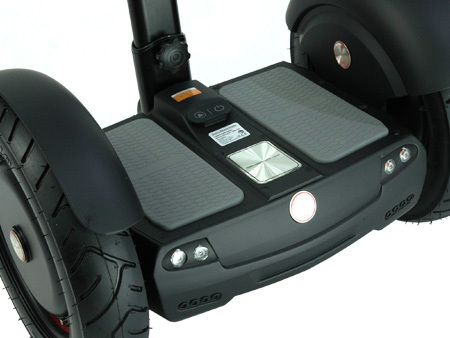 If a Segway at £7000 is a bit on the steep side, but you’d still like to use handles on your hoverboard, then the Bossman is right for you. BOSSMAN is clever. It keeps you balanced while reading when you want to move, stop and turn. BOSSMAN tries to copy what we humans do and learns how to keep a rider in balance. As you lean forward BOSSMAN’s wheels automatically pick up speed to keep the platform beneath you level. The same goes for reverse. Lean back and that’s where you go. Angular sensors detect changes in direction and speed. Tilt sensors detect angles. Together these sensors provide data that allow the machine to determine if you are about to tip over. 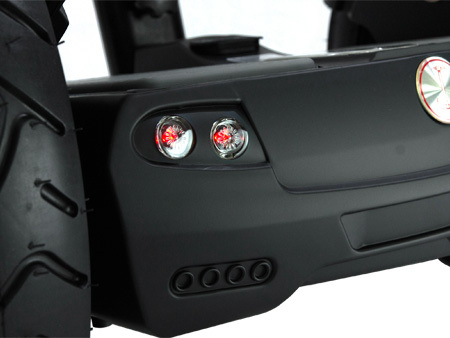 It sends the command to the wheels and keeps you upright. No matter which way you lean BOSSMAN is always one step ahead of you. To turn push the control stick to one side. 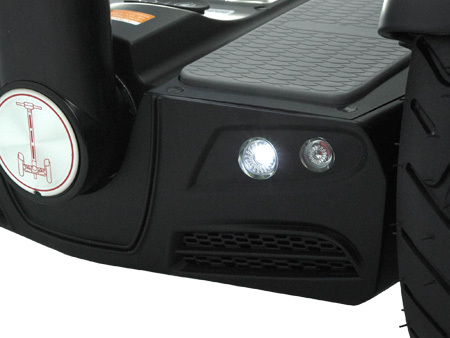 This decreases power to the inside wheel and spins the outside one faster, and round you go. BOSSMAN has a carrying capacity of up to 120kg. The gear box is inside the wheel assembly. The gears also help to limit the speed to about 18km per hour. When you are done for the day, ride over to a wall socket, plug BOSSMAN in, and in no time it is ready to ride again. 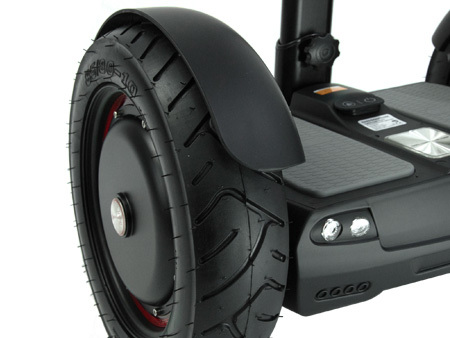 This machine may not rule our pavements just yet, but it’s finding a way into our transport systems one wheel at a time. The BOSSMAN comes in two shades of black and white.